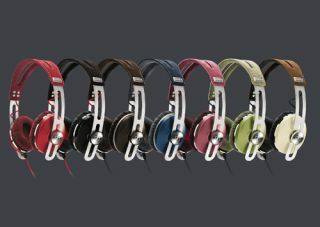 Sennheiser launches Samsung Galaxy-friendly earphones and more Momentum colours | What Hi-Fi? Sennheiser has launched earphones designed specifically for Samsung’s Galaxy devices. Making their first appearance at CES 2014 in Las Vegas, the Sennheiser MM 30Gs are in-ear headphones with a three-button remote and microphone unit. Unlike some Android headphones, the MM 30Gs don’t need an app for the controls to work: they are fully compatible with Samsung Galaxy smartphones and tablets upwards of the Galaxy S2 smartphone. The Sennheiser MM 30Gs will be available in black or white. Details on pricing and release date to follow. Also unveiled were new colours for the Momentum family. The original, over-ear Momentums are now available in Ivory – a colour previously exclusive to the on-ears. Meanwhile, the Momentum On-Ears are getting Glossy Black, Classic Brown and Intense Red. Sennheiser’s CES booth also showed off a new range of DJ headphones: the HD8 DJ, HD7 DJ and HD6 MIX. There were also new gaming headsets, the G4ME ZERO and G4ME ONE.